Pretty positive this was my motel room when I got a flat tire on the New Jersey turnpike in 1996. 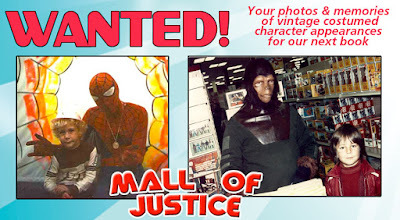 Mall of Justice wants your photos and stories click here! Looks like flowing urine & feces. Blue one might not be that bad though. First Anon doesn't understand the glory of earth tones and the way Harvest Gold ties the entire room together. For those who do, here's a more in-depth treatment of the subject. Two elderly women I know who were motel maids in the 70s both told me independently that tan/ yellow colors were chosen specifically because they hid nicotine (and other) stains more readily than whites. And then there's a river of urine & feces flowing across your bed. That particular visual sounds like a deep-seated trauma for you, First Anon. The way you keep fixating on a soiled bed is instructive. By contrast, no mention is ever made of the curtains which share the same pattern and coloration. Without speculating on the specifics, it's long recognized that stressful events in early childhood establish a developmental trajectory for nocturnal incontence in adults. Absent the discovery of a physical cause, perhaps your issues could be resolved over time in a theraputic setting. In the meantime, rest assured. These are earth-tones. Perhaps not the most complimentary combination, but entirely removed from any personal issues projected onto them. Manure is also an Earth tone. It's kind of difficult not to fixate on the soiled bed, when it's the focus of the ad. The curtains ad a nice waterfall of urine & feces in the background. In any case, calm down, no need to get testy. This is a happy site. Take a deep breath. Wouldn't dream of getting testy, First Anon. I'm trying to be a Good Samaritan and help you. Or, more precisely, help you decide to seek out help on your own. The associations you draw looking at the bed are not necessarily the same as others. I can say with some confidence that your associations are, in fact, highly idiosyncratic. Why? Because this ensemble did not simply appear out of thin air. There was an artist who designed the pattern and chose the colors. 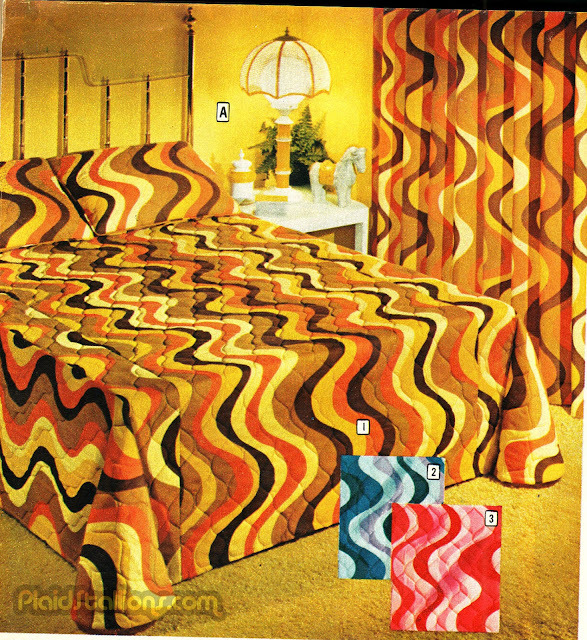 There was a department manager who okay'ed the pattern and colors for production. There were company executives and salesmen who promoted the fabric. There were professional buyers for this catalog who submitted bulk orders for these fabric goods and none of them would willingly involve themselves if they perceived these colors and patterns the wa you do. This isn't psychology, it's plain old business. This bedding and window treatment is a kind of Rorschach test. What you see differs markedly from the norm. A very large number of people whose continued financial success depended on sales all saw this as a fashionable item that would sell well. Normal people find excrement unpleasant and wouldn't willingly buy items visually associated with it. Ergo, your interpretation is abnormal. Given the distasteful nature of how you perceive these items, you would almost certainly benefit from some professional counselling. Whatever's going on upstairs, it isn't helping you one bit. Testiness would be making a blunt and perhaps inconsiderate value judgement on the nature of your preoccupation, judging your character accordingly, and I haven't done that. Yeah, pretty much urine and diarrhea. Or blood, in one of the alternate choices. The blue is kind of oceanic-ally soothing. Big Star Wars Savings at Venture! What's the Word on the street? The Stretch Monster Kid Returns! Magic, Tricks and Make-Believe Fun!